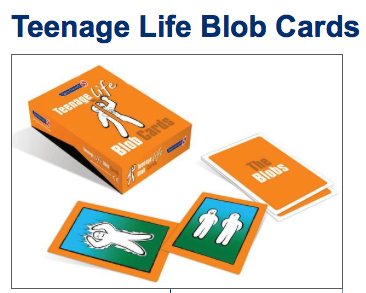 An effective tool to explore teenage issues, these cards provide a tool to consider and discuss a multitude of positive and negative teenager feelings and behaviours. Blobs are a way of commicating using two of the first languages which are learnt as children - body language and feelings. Self-image, and many more. Includes cards suggesting over 50 optional activities. 48 full-colour cards 125 x 80mm plus 8 instruction cards, boxed.